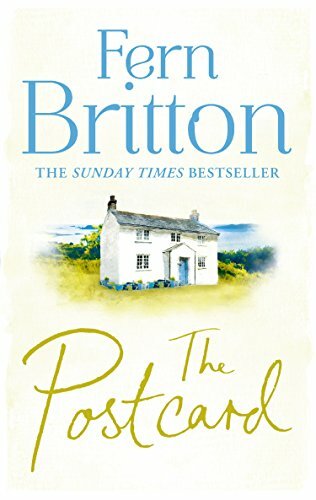 I’m very familiar with Fern Britton as a TV presenter and Strictly Come Dancing contestant and although she has written several books now, all of which seem to have done very well, The Postcard is the first novel of hers I’ve personally read. I’ll admit that for several reasons I don’t naturally gravitate towards ‘celebrity’ novels but with Fern’s previous novels on my radar I was very happy to review this. So what is it all about? ‘Secrets. Sisters. The summer that changed everything . 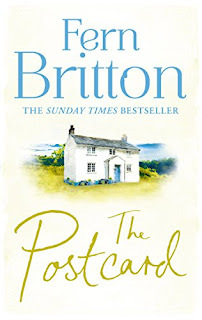 . .
Life in the Cornish village of Pendruggan isn’t always picture perfect. Penny Leighton has never told anyone why she’s estranged from her mother and sister. For years she’s kept her family secrets locked away in her heart, but they’ve been quietly eating away at her. When an unwelcome visitor blows in, Penny is brought face to face with the past. And a postcard, tucked away in a long-hidden case, holds the truth that could change everything. The setting of Cornwall (somewhere I long to visit) and the summery cover did appeal to me, especially at this time of year. I enjoyed Fern’s style of writing, I was quickly engaged in the story and felt a huge amount of empathy with Penny as the central character. Penny is a fairly new mum who is not feeling quite herself but trying to hide it. Add to this work stresses and the additional pressures of being a vicar’s wife, Penny is struggling to be the ‘perfect’ person she feels she should be. Penny’s story felt very honest and although there are some pretty dark times for her, the story somehow remains light. I think this is helped by having multiple narrators and perspectives. It wasn’t all about Penny although to me she did still feel like a main character and the one I was most interested in. I think we got enough of a feel for Penny before other characters started to add to the story. Ella is an additional character whom I liked and whom I would have liked to see more from. The closing chapters of the novel give ground for further novels to include her and her family, which would appeal to me. She is a sweet character who is happy to help others and also fiercely loyal when it’s needed. With Penny’s sister seemingly up to no good and new friends to protect, Ella is someone who has her work cut out for her at times. Whilst I wouldn’t say I ever felt bored by the novel, it did take until beyond the halfway point for any real twists and progression of the story beyond Penny’s situation to happen. Then it seemed like some things which occurred happened a bit too quickly when there was room to space things out a bit more and built greater tension with Penny’s sister and how she acts once they’re reunited. Some scenes with Suzie (Penny’s sister) felt a little crammed, too many different characters with no room for reflection on what had just happened before the next thing did. Although I’d read every word, I still didn’t feel the motivation for Suzie’s actions was conveyed to the reader sufficiently, particularly in relation to the character of Adam, Penny’s new neighbour. This is minor criticism though in the scheme of things. All in all, this was a very enjoyable book with some great characters and a community feel to the novel. I didn’t quite feel transported to a Cornish setting and would have liked more scenes away from the character’s homes but hopefully we’ll see these characters again as I for one would like to see how things progress. Although I’ve only read this novel I’ve read that some of the characters appear in Fern’s previous novels, so anyone who likes to get to know characters over a few different novels will probably enjoy her work, although it still is a stand-alone novel. Great review. Thanks for the recommendation!